snug harbor masterplan - balber architecture, inc. 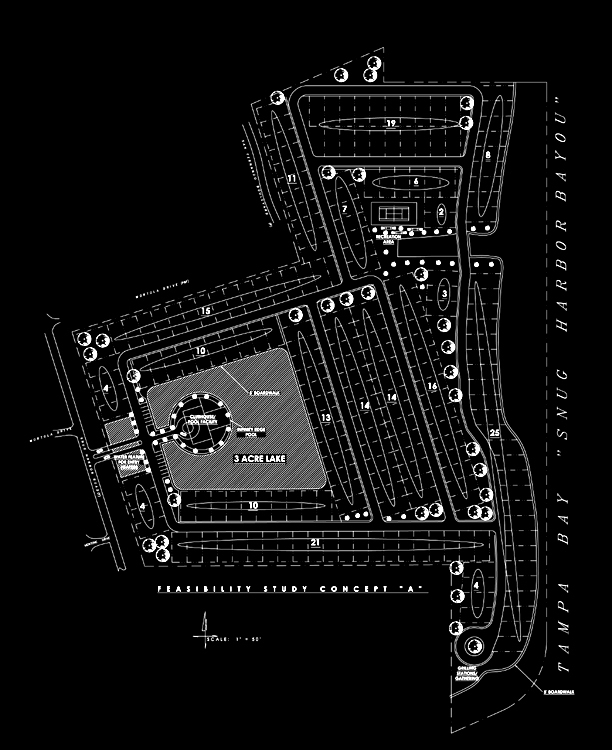 This masterplan consisted of a 15,000 sf clubhouse on a man-made island in the middle of the development. The site needed wet retention so we turned the retention area into a major design statement by turning it into a lake that would surround the clubhouse. The lot was divided into 206 40’x80′ parcels to accommodate mobile homes and give most of them water views. Even some of the parcels that were in the interior would have a water view of the lake (as opposed to Snug Harbor Bayou).